Will my favourite album of 2011 be instrumental? | "I Prefer Their Old Stuff"
Will my favourite album of 2011 be instrumental? On the basis of the following, plus Mogwai last month, and the upcoming new albums by Explosions in the Sky, And So I Watch You From Afar and Maybeshewill, I’d say it’s very real possibility! I’m here to talk about two albums that have dropped through my door this past week that I’m beginning to be slightly obsessed by. 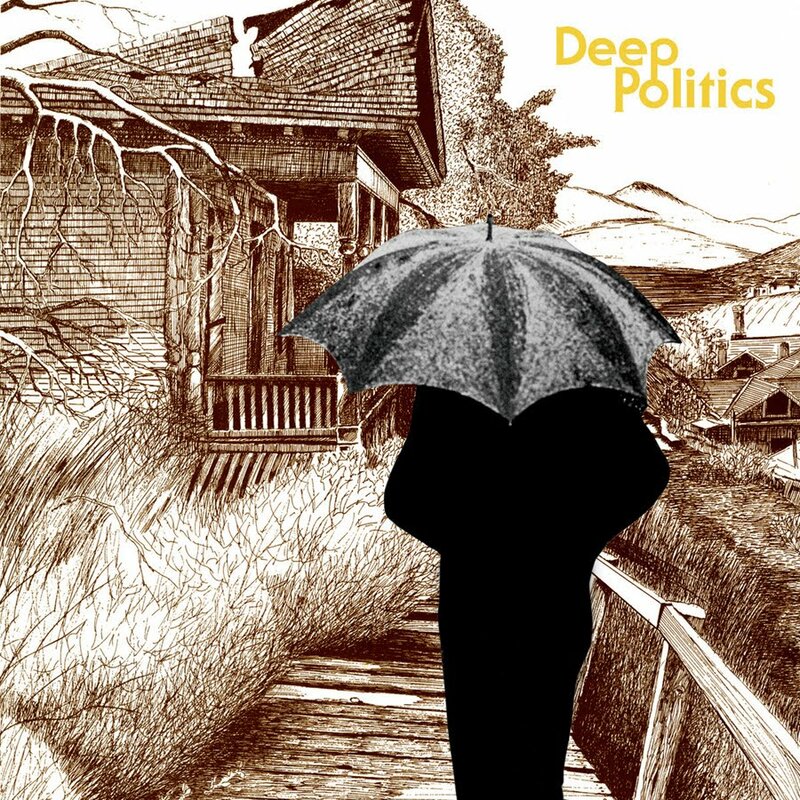 Those two albums are “Helioscope” by Vessels, and “Deep Politics” by Grails. Before I even talk about the music contained within the second album by Leeds band Vessels, it has already won the award for my favourite artwork so far this year! Artist Luke Drozd, who also did the artwork for their debut “White Fields and Open Devices“, has again really captured the feel of the band’s music (there are some lovely high quality versions on his website). A Helioscope is a device used to observe the sun and at times this album seems to give the aural equivalent of the spots you get in your eyes after glancing at that fiery orb, such is its chaotic charm. When I heard the lead single “Meatman, Piano Tuner, Prostitute” last year, I was initially nonplussed, at the time I wasn’t overly enamoured with the addition of the vocals by Stuart Warwick (yeah, it’s not strictly a 100% instrumental album, with vocals also featured in “The Trap” and “All Our Ends”) and wondered if I was going to like the new album as much if this was the direction they were taking, but opener “Monoform” quickly allayed these fears. It acts like a neat segway from the previous album into this, sounding like a logical progression from “White Fields..”. So by the time I reached “Meatman..” at track five the ground had been prepared and it fitted so much better than I’d feared. With the clear elements of Neu! in the intro to “The Trap” and the almost drone-like qualities of “Heal”, Vessels seem to have really stepped up their game with this glorious, joyful cacophony! This would undoubtably have been my album of the month if it were not for…. Grails are a band that fascinate me, I find them so hard to describe and quantify, their albums seem to flow by, their intricacies and atmospheres wrapping themselves around my brain while I’m listening, but with each of their albums the music seems to have a transient quality in my mind, meaning I find myself needing to listen to them again and again. Their familiarity growing, oh so slowly, at an almost glacial pace. I own most of their albums now and bar a few tracks I would have a hard time trying to remember how a particular one goes in my head. Yet, the minute the album is back on it all comes flooding back, strange, compelling and a little bit frustrating. I only recently became aware of the Portland, Oregon instrumental psych-rock outfit when I made a rare trip to London to see The Jesus Lizard in May of 2009 (one of a very small number of bands that could get me to go that far to see a gig). On that bill along with Mr Yow and the gang were Harvey Milk and Grails. So when Grails started off, the stage of the HMV Forum a huge mass of dry ice, the eastern sounding influences, unusual and original post-rock stylings, and apparent lack of structure, they were hypnotic and confusing and I wanted to know more! Not as dark or heavy as its predecessor “Doomsdayer’s Holiday”, “Deep Politics” instead concentrates on flow and structure, for me, it is sounding the most cohesive of the Grails records I’ve heard. This album seems to have more drama despite cutting back on the samples of snatched speech or other sound effects prevalent on previous albums, the atmospherics and build up of opener “Future Primitive”, the uneasy slightly discordant piano in “All The Colours of The Dark” or the echoes of 70s film soundtracks in “Daughters of Bilitis” with its strings and piano. The album bowing out with “Deep Snow”, the gentle acoustic guitar morphing into a psychedelic jam session. At the moment the standout is still the eight minute musical trip “I Led Three Lives” that I first heard as a download a couple of months ago, that hit me between the eyes on first listen and is still the highlight but not by far. This album has only been with me just over a day and it’s already started its glacial creep into my skull, this one seems to be moving faster than previous ones though, there’s bloody global warming for you! This entry was posted on March 18, 2011, 10:27 pm and is filed under Music Reviews. You can follow any responses to this entry through RSS 2.0. You can leave a response, or trackback from your own site. 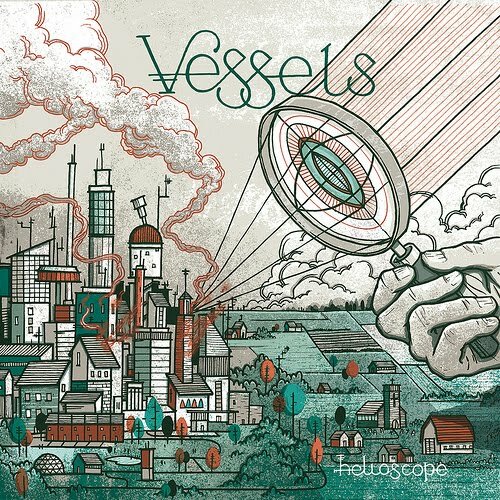 I’m really digging that Vessels band, I will have to pick up the album. Great find, thanks for spreading word of great music!! The IPTOS 50 Best Albums of 2011 – Part Two, The Next Batch « "I Prefer Their Old Stuff"